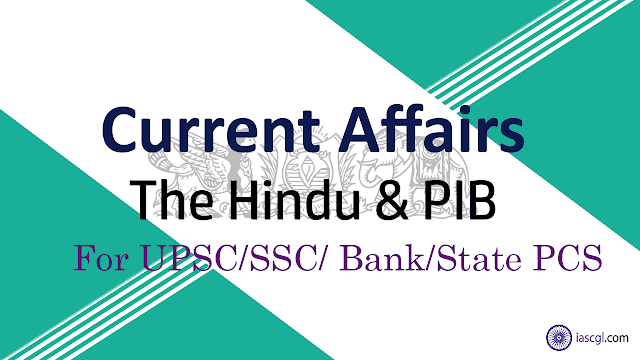 21st September 2018, Current Affairs and News Analysis for UPSC Civil Service Examination, SSC CGL and State Civil Service Examinations. The Union Cabinet cleared an ordinance that makes talaq-e-biddat, or instant triple talaq, a criminal offence that will attract a maximum jail term of three years. President Ram Nath Kovind later in the day gave his assent. Why triple talaq is a criminal offence. There was an overpowering urgency and a compelling necessity to bring the ordinance as the practice continued unabated despite the Supreme Court’s order last year. 201 cases had been reported from across the country after the Supreme Court banned triple talaq in August 2017. Since January 2017, 430 cases had been reported until September 13 this year. What is important is that the practice of triple talaq continues in spite of the Supreme Court having annulled it and the Lok Sabha having passed a Bill that is pending in the Rajya Sabha. While instant triple talaq will continue to be a non-bailable offence — the police cannot grant bail at the police station — the accused can approach a magistrate for bail even before trial. A magistrate could exercise discretion to grant bail after hearing the wife. The magistrate would also have power to decide the quantum of compensation and subsistence allowance for the victim and her minor children. The offence of instant triple talaq has also been compoundable with a provision that allows the wife to withdraw a complaint or approach the magistrate for a dispute settlement. These bonds offer higher returns than other similar investments, they can be used as a tool to attract capital during times when other domestic assets fail to attract the interest of foreign investors. Can this bond save money? NRI bonds could theoretically help increase demand for the rupee and stabilise its value against the US dollar. The actual effect of these bonds on the rupee, will depend on how attractive these bonds to NRIs. While these bonds can provide temporary assistance to the rupee by encouraging capital inflows into the economy, they may not address the fundamental economic issues that are causing the fall of the rupee. In 2013, when the rupee witnessed a fall of about 25% in just four months following the U.S. Federal Reserve’s decision to taper down its bond-purchase programme, the RBI was able to collect more than $30 billion worth of foreign capital. NRI bonds were also issued in 1998 and 2000 to help curb the slide of the rupee. The SC has approved a shoot-to-kill order for a tigress. Is the objective to make forests safe for humans, or for wildlife? Officials of the forest department have declared T1 a “man-eater” as the animal, along with her cubs, ate 60% of a human corpse. It was accused of killing more than a dozen people over the last two years. But it was argued that all the kills have taken place within designated forest areas or on their periphery. The Pantharkawada forest is home to spillover tigers from the nearby Tipeshwar Wildlife Sanctuary. With rampant Human encroachment, contiguity of the habitat was disrupted. The forest has scant food for wild herbivores, hence it also multiplies the chances of man-animal conflict. There is heavy pressure of illegal grazing, with livestock consuming a huge proportion of the food and water meant for wildlife. Locals take cattle and goats “on contract” from rich owners to graze them illegally in the forest. 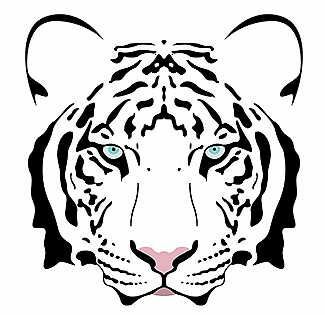 The National Tiger Conservation Authorityprotocols say that the human beings killed due to chance encounters may also be eaten by the animal. However, this is not sufficient for classifying a tiger as a man-eater, especially for an encumbered tigress supporting two cubs, in a low prey base area. Hence, the Forest Department appears to be apathetic towards the basic tenets of habitat management. Citing human and political pressure, wildlife coming into conflict situations is regularly eliminated. The court has observed that the directions for Standard Operating Procedure under Section 38(O) of Wildlife Protection Act are merely suggestive and not mandatory. It was also alleged that the forest department has already roped in a “sharp shooter” to kill the tigress, instead of first trying to tranquillise her. This case reveals that a distinction has to be made between a tigress killing a human and a habitual man-eater. Hence it is necessary to keep wild habitats safe for wildlife to ensure their long-term survival. The Employee's State Insurance (ESI) has approved a scheme named ‘Atal Bimit Vyakti Kalyan Yojna’ for Insured Persons (IP) covered under the Employees’ State Insurance Act, 1948. According to an official release, the eligibility for availing Super Specialty treatment for dependents of Insured Person has now been relaxed to insurable employment of one year with 156 days of contributions. 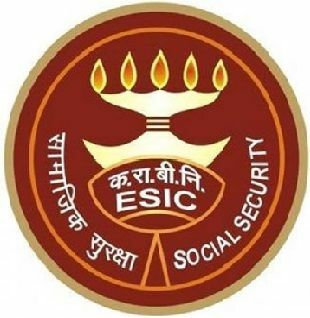 ESIC has also approved the proposal for reimbursement of ten rupees per person to the employees, so that they can be encouraged to add the base (UID) in the ESIC database of those workers and their family members. This step will reduce the number of different insurers in different registrations and enable them to take the necessary benefits of long-term contributory conditions. In addition to this, it has now been limited to one-year insurable employment, with a deduction of 156 days contribution by granting the benefit of the benefit of super speciality treatment for the dependents of the insured. With this discount, the insured persons and their beneficiaries will get the opportunity to get free super speciality treatment as per the revised qualification. ESIC has approved the proposal to increase the funeral expense to be paid on the death of the insured persons and increase it from current Rs. 10,000 to Rs. 15,000. Recently two experimental projects were started for the Smart Fence on the Indo-Pak International Border in Jammu. Smart border fence project is the first project of its kind to be launched under the comprehensive Integrated Border Management System (CIBMS) program in the country. On the boundary, the boundary system of two border fencing projects of 5.5 km long is technically advanced, in which invisible electronic obstacles have been installed in land, water and even air. This will help BSF to identify hazards in the most remote areas and prevent infiltration efforts. CIBMS uses a large number of different devices in monitoring, communication and data storage. With this help, BSF will be able to monitor the border on all 24 hours in all weather seasons. 68% posts vacant in Bengal fire dept. At present, about 68% posts of permanent fire operators are lying vacant in West Bengal. The Fire and Emergency Services Department has not recruited any permanent fire operators (personnel directly engaged in firefighting) since 2011. Instead, auxiliary fire operators or contractual operators are being hired to tackle major fires without proper training. The auxiliary fire operators often face difficulties when deployed during major fires. While fire operators recruited on permanent basis receive rigorous training of about three months, auxiliary fire operators receive only preliminary training for about a month. The training for contractual operators mostly comprises elementary tasks such as climbing a ladder along with drills and parades. With such inadequate training, it’s very difficult and risky to perform rescue operations.